White-water ‘River God’: Dave Hill, for his enthusiasm for getting people onto the water. The Bristol Canoe Club AGM 2016 was held last week. Bristol Canoe Club welcomes all new members and polo players of all abilities. 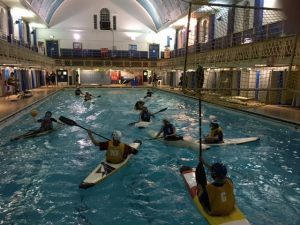 Our canoe polo sessions are now running in Bristol South swimming pool on Dean Lane in Bedminster from 8-45pm each Wednesday until May 2017. We have a range of Club polo boats and kit so come along and try out this exciting game. 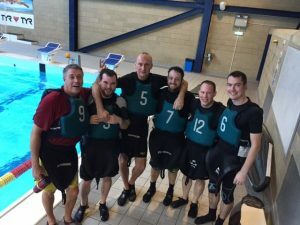 We also run an open session for beginners and coaching rolling and paddling skills. The open session starts at 8pm.